"At such a sad time with so much to organise I could only give Sarah a couple of photos I knew we wanted and asked her for her advice. After discussing what Mum was like and what she liked sarah came back to us with a stunning order of service that left us speechless, it portrayed her character and spirit perfectly and was a comfort to us all. Everybody who attended the service said how beautiful it was, a lovely memory for us all. Thank you Sarah for all your help at such a difficult time". "Cannot recommend Millbank & Kent enough, from start to finish nothing was to much trouble, Sarah was so understanding & patient. We received many comments on the quality of their work, we could not have been happier on the service they provided". "We wanted a contemporary look for the Order Of Services for Mum"s funeral. Something personal, pretty and tailor made for her. Millbank & Kent's designs are lovely. Sarah was extremely helpful with advice and provided a swift and accurate proof. We also included two photos which reproduced really well. The finished stationery looks stunning and is a wonderful keepsake to remind us of Mum". 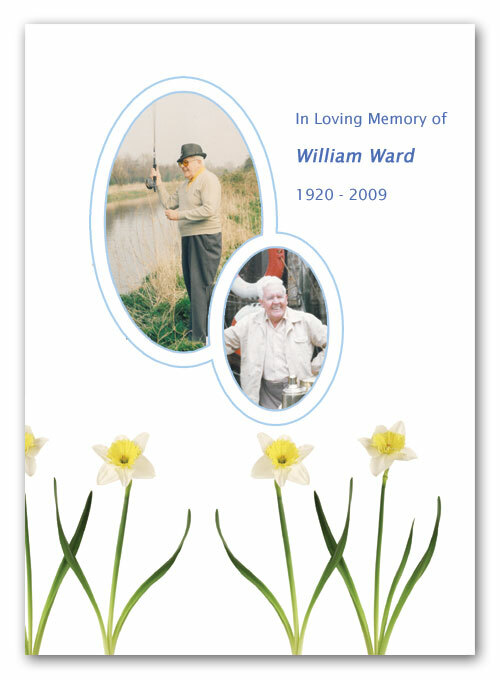 "Millbank and Kent produced the order of service for my Father's funeral using photos and even some daffodils which were his favourite. 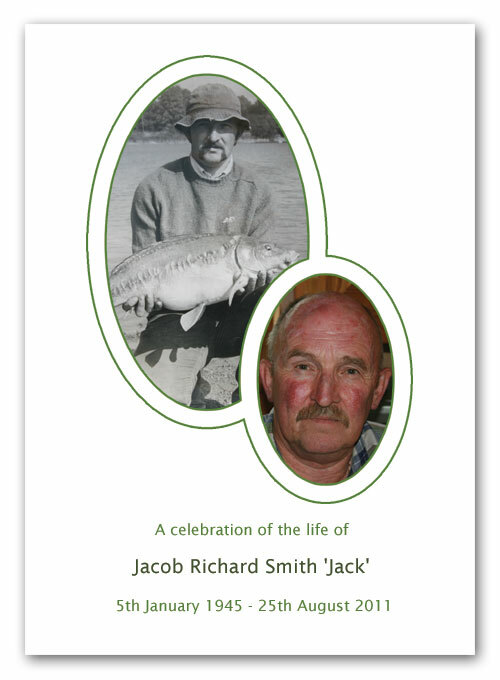 The service of producing the booklets was fast, professional and most importantly,caring and thoughtful". 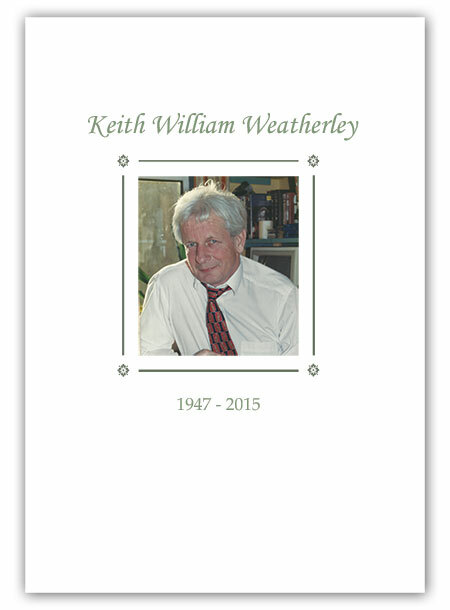 "I would like to thank Millbank & Kent for the order of service they produced for my Dad's funeral, their service was second to none from the initial design to completion including several photographs". "Sarah’s sympathetic and thoughtful approach at a sad time was much appreciated. The order of service, complete with photos, was lovely". 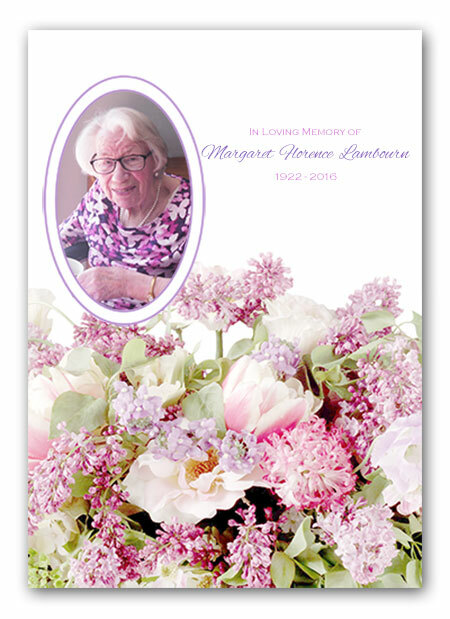 "Sarah produced such a lovely set of funeral stationery for my wife Angela. It was a weight off my mind to have Millbank and Kent produce them for me during such a difficult time".